Great turnout, two bus tours, crackerbarrels, and lots of food! The Reunion was a smash hit, with over 100 registrants participating in the various activities. Read the SCHEDULE link above to learn what all was on the schedule. Why Was Williamsburg a Great Place for the Poindexter Family Reunion? As you think about an answer to that question, also give some consideration as to why family reunions are a great idea in the first place. At any family reunion, we set aside time to be with our families, enjoy each other’s company, catch up on everyone’s news, and meet some of the newest members of the family. The same things happen at a Poindexter Family Reunion. Everyone who comes shares the same interest in a common heritage - all tracing back to the Isle of Jersey and Normandy. There are some extraordinary events planned for everyone at the Poindexter Family Reunion this year, as well as opportunities to create additional holiday time on your own while in the area. Immigrant George Poindexter came to this very same area in the 17th century. He bought land, raised a family, served his community, went to church, and built his home in nearby New Kent County. Immigrant John C. Poindexter came to Virginia in the 18th century. George’s descendants also bought land and built houses here all through the centuries, with the most recent Poindexter purchases occurring in the 21st century. 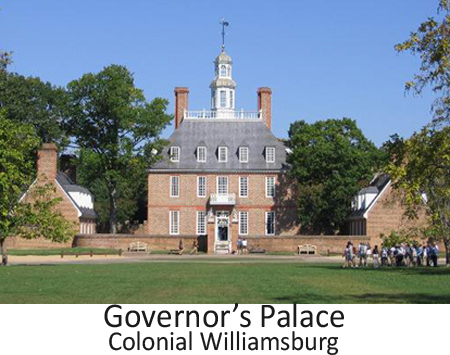 Williamsburg is in Virginia, and Virginia is at the heart of so many significant events of American history…the first permanent settlement, colonial expansion, revolution (Give me Liberty! ), civil war, naval history, and more. There are so many Virginians who have made a difference in this country’s history: John Smith, Thomas Jefferson, Patrick Henry, Robert E. Lee, to name just a few. Williamsburg is close to Richmond, a beautiful and historic city that is as exciting as it charming. If you’re pursuing Poindexter genealogy threads, what better place to really dig into the multitude of resources than those available at the great research libraries in Richmond and at the College of William & Mary in Williamsburg? Finally, if you want to explore something other than history, then the Williamsburg area and Tidewater Virginia are also vacation locations filled with amusement parks, dinner theaters, museums, golf courses, harbor cruises, and, of course, shopping! See the land, visit the houses, and really get to know and understand the area in and around New Kent County, just a short drive from Williamsburg. Learn about family history, and have the chance to go to the library to research it. Have plenty of time for good conversations with other Poindexters…both long time friends and newly found cousins who have never met before. Look through the PDA’s genealogy records and search the PDA genealogy database to discover where and how we all fit in. Travel to Richmond to experience that fantastic city and its own incredible history. Dine together at our traditional family banquet, as well as at an historic colonial tavern, and share good company and merriment throughout. Read on to discover even more reasons why you should come to the 2014 Poindexter Family Reunion. It promises to be an amazing experience for all. Sign up for our email announcements to be notified when new information is available.